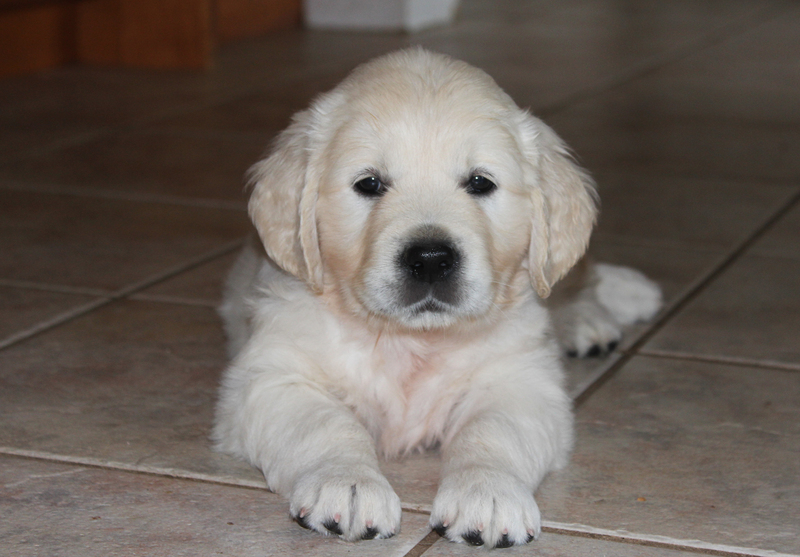 Nina’s puppies continue to grow in leaps and bounds and are now weighing in between 9 and 10 pounds. They still get the occasional snack from Nina – but for the most part their meals now consist of soaked kibble and a dash of goat’s milk. Nina is still watchful of her pups and is enjoying this new chapter that involves more playtime with her pups and less food provision. The pups have been spending most of their time outdoors this week and the temperatures can get fairly warm during the afternoon so the puppies love to find a cool place to lay in the shade. In particular they like to lay behind the boxwood bushes in our garden where Nina had previously dug a few holes during the days just before the pups arrived. I guess the location that Nina had chosen as a den for her pups is still being put to good use after all!! The pups love to wiggle their way down into the coolest part of the soil and would probably snooze there all day if I would let them. They are also becoming more interactive with each other and love to play a game of chase or tag over a small branch or a ball. The pups use their mouths quite frequently with each other during these play sessions; this is an important part of development as they learn exactly how hard they can use their mouth before it elicits a yelp or cry from a fellow littermate. The pups have also enjoyed a wide array of visitors this past week and are always a friendly welcoming committee for whoever happens to stop by. We will look forward to a great week ahead as the pups continue to become more active and more of their personalities start to shine through!